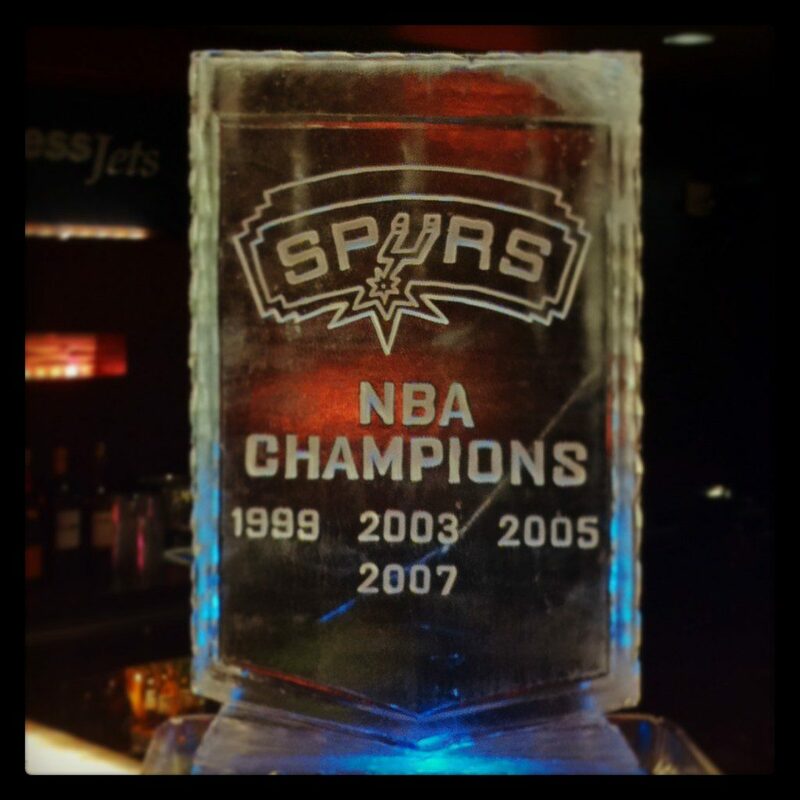 Spurs NBA Championship banner ice sculpture at the 2013 NBA Finals. June was an exciting time in San Antonio as the beloved Spurs put together their latest Drive for Five. The past three seasons, Full Spectrum Ice Sculptures has been cheering the team on every step of the way, providing ice sculptures at every home playoff game! After another solid season, the excitement grew with every win and round advancement. Despite falling to the defending champions Miami Heat, the Spurs proved once again that Team is Everything and gave it everything they had, pushing the championship battle to a thrilling game 7. 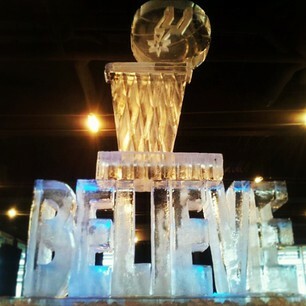 San Antonio Spurs multi-block ice sculpture displays at the AT&T Center during the 2013 NBA Finals. Although the Spurs came up a little short in 2013, we still believe and will be looking forward to doing our part to contribute to another drive for five in 2014. Viva Los Spurs! 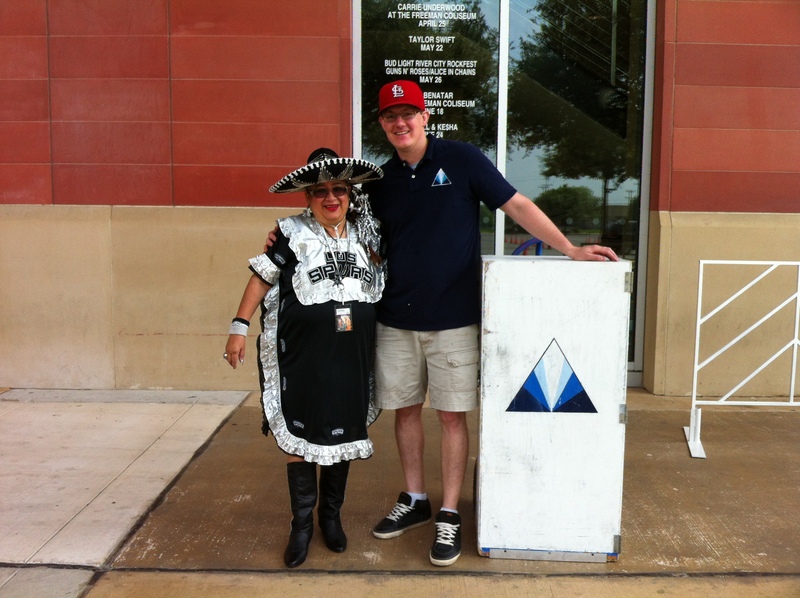 Full Spectrum Ice Sculptures owner, Sean Leahy with the Biggest Spurs Fan on delivery of 2013 NBA Playoffs.